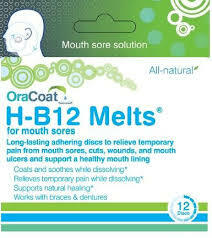 H-B12 Melts are long-lasting adhering discs with hyaluronan and bioactive B12 to relieves temporary pain from mouth sores, cuts, wounds, and mouth ulcers and support a healthy mouth lining. 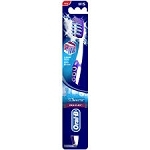 H-B12 Melts adhere to a tooth, gums, or brace nearest the sore, last for hours, and fully dissolve. Use H-B12 Melts for temporary relief from your painful mouth sores.